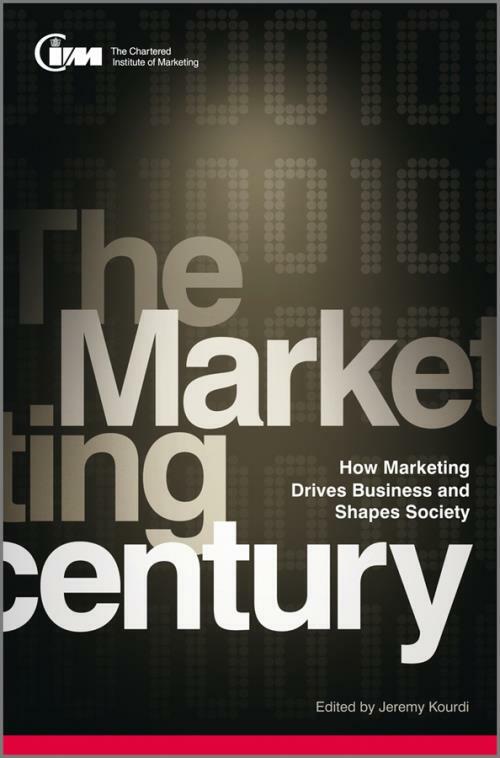 Written to celebrate the Institute′s centenary,The Marketing Century explains: how the key elements of marketing have developed; how the various aspects of marketing contribute to performance; what it is that great marketers do; and how the discipline of marketing may develop in the future. The last 100 years have seen a rapid rise in the impact of marketing. It is an activity which has grown in scope and significance, with more people than ever before now engaged in the exciting, fast–changing world of marketing. The development of The Chartered Institute of Marketing closely reflects the growth and progress of business in general and marketing in particular. Just as marketing has developed as an activity that is highly valued, varied and vital in its contribution to business success, so the Institute′s work has expanded as an indispensable source of insight, guidance and practical support. "The last 100 years have brought increased economic prosperity to most parts of the world. Science and technology have greatly advanced but it is marketing which has brought together supply and demand to turn these developments into products and services which can be provided successfully and economically. This book shows how this has been achieved and provides insights into modern marketing and the likely future developments as the 21st Century unfolds." "The book will be a goldmine for the general reader who wants to know more about the whole marketing field and its contributions and the specialist marketer who wants to expand his or her knowledge of marketing areas outside of his or her area of specialization. You chose your experts well and they each delivered a thoughtful and far looking essay in their area of specialization. The book as a whole should be on every marketer′s shelf who wishes to be knowledgeable and thoughtful about the present and future themes that will play out in the rest of the 21st century." 1 Strategic Marketing (Don Peppers and Martha Rogers). 2 Market Segmentation (Malcolm McDonald). 3 Innovation (John Saunders and Veronica Wong). 4 Digital Marketing (Philip Sheldrake). 5 Sales and Business Development (Beth Rogers). 6 Customer Relationship Management (Merlin Stone). 9 Public Relations (Paul Mylrea). 10 Internal Marketing (Keith Glanfield). 11 Marketing and Sustainability (John Grant). 12 Social Marketing (Veronica Sharp).